Fully autonomous vehicles roaming public roadways are still many years away but if racing organizer Formula E has its way, you’ll be able to watch self-driving cars compete against each other on the track next season. 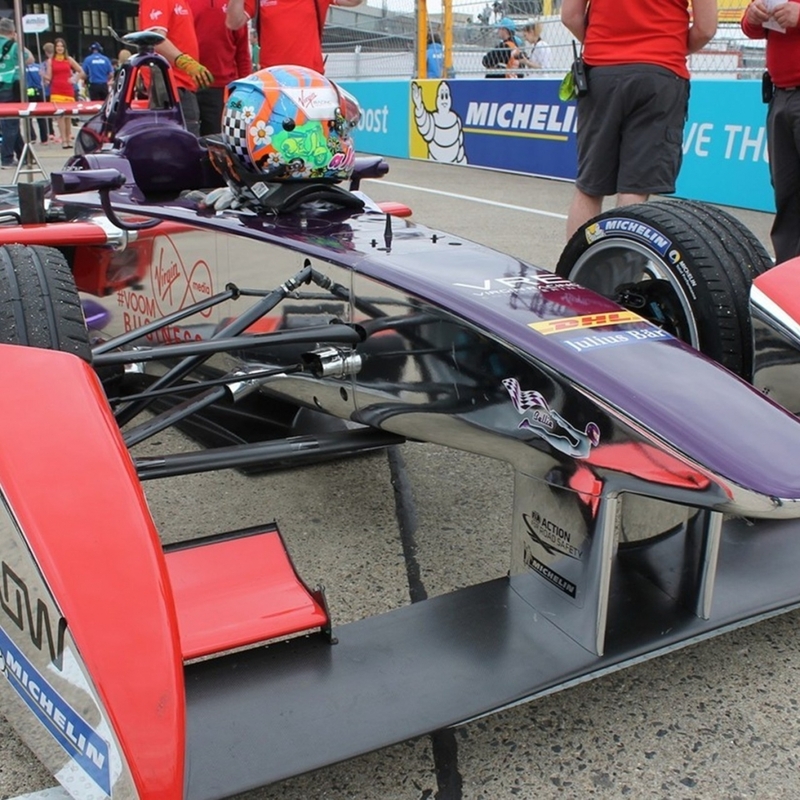 Formula E, which hosted its first all-electric championship series last year, is partnering with Kinetik on the initiative. Dubbed Roborace, the series will feature 10 teams (with two cars each) competing in hour-long races held before scheduled Formula E events. Each of the 20 self-driving cars will be identical, forcing teams to focus their efforts of developing the artificial intelligence and algorithms to guide their cars during the race. Curiously enough, Formula E said that one team will be a crowd-sourced community team led by enthusiastic software and technology experts. While not much has been revealed about the actual cars that’ll be used, a spokesperson for Kinetik said they’ll have a top speed of around 186 mph. As The Verge points out, that would make them faster than the human-driven Formula E cars that top out at around 140 mph. In fact, Roborace vehicles would be the fastest autonomous vehicles in the world, besting Audi’s 560 horsepower driverless RS 7 which managed to hit 149 mph last year. For best program to win? How's that a sport? It's not a sport. It is a non-physical competition which eliminates the possibility of it being a sport. Motor racing is going to be awesome in 5 years time. F1 is at a all time high and Formula E is a cure for insomnia and now autonomous racing,great. To be fair, the program can't win the race if the engineering in the car is ****. They'll also have to gas it up and change tires in pit stops so that adds a physical element. The same can be said for e-sports. While that will never be a sport in my eyes, the world is changing. There's a lot I could say about normal so called things that get called "sports", that have not as much actual challenge to it. The eSports scene has a fair amount of mental and physical work, depending on what game you're referring to. My only hope is that there are some crazy wrecks. I mean, at least this way I won't feel as guilty when the car hits the wall and obliterates.